In recent weeks, some data has been presented to me for review. While some companies will have their own style of keeping track of their call logs and data for the client; there will be on occasion some call centers that will present to the client data that is unformatted and quite frankly looks like a train wreck. One such example was a call center in the Philippines who provided a client of mine with data that was a mess from the first tab. In reviewing the data, notes, details, and contact names were spread across 17 tabs, and completely un-readable by myself and my client. There was no headers, business names with mixed with the name of the prospect, and notes on the calls were spread across 3, 4, 5 and 6 columns. To maintain a professional image to the client, your data should always be clean and easy to understand. 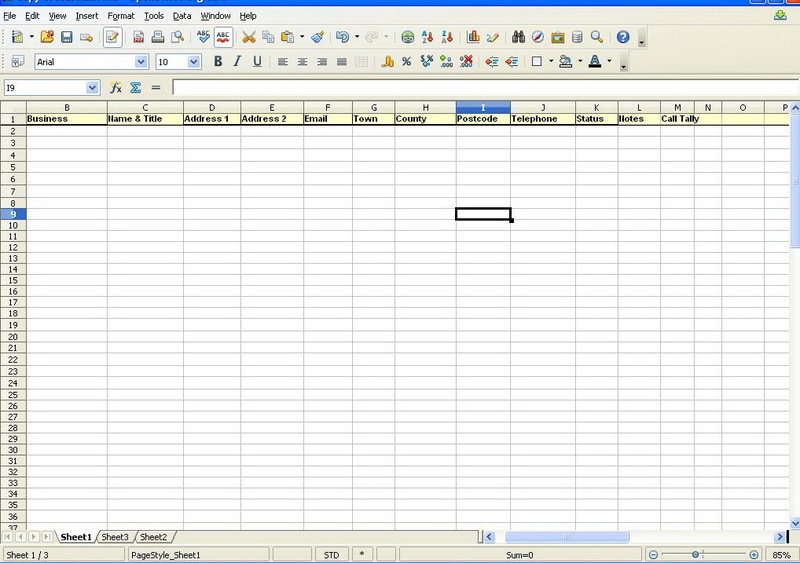 There is no need to enter notes across the spreadsheet, one column after another, as I will point out in the example image below. Not only does keeping a sloppy Database reflect unprofessionalism, but it also creates a lot of work for the next person to clean up the data so that it is more manageable to import into CRM’s such as Access, ACT etc. Business Name – This is self explanatory. Keep the details of the company prospect in that column. Do not put incorrect data, such as the name of the person. Yes, it may seem pointless to mention this, but some call centers do make this mistake. Such as the call center who in their data, mixed Company Name with the name of the Prospect. Name & Title – Again self explanatory. Name of Prospect and their title goes in this column. BAD – Lead is bad, usually the number is Invalid, Disconnected, Wrong Number etc. CALL BACK – If the prospect is not in the office, or you have been asked to call later etc. LEAD – Self Explanatory. The prospect is interested in the product or service. Don’t forget to ask for their Email! SALE – You have closed the prospect, well done! INCUBATOR – Prospect is interested but they have a long RFP (Request for Proposal), RFQ (Request For Quote) Process. Not Interested – Prospect has stated that they are not interested in the product or service. Don’t worry, just recall in 3 months. NOTES – Keep your notes on the call current. What did the DM say? Keep the record detailed enough so that when you recall you will have the details on what you discussed. Small details matter. But keep your notes to to point of the conversation. Don’t add things like “Ran out of Skype Credit. Cannot call“, as one such call center put in several of the records I checked. The client is not interested to read if you have Skype credit or not. Your job is to call the prospect, not keep a running agenda on what you are doing. CALL TALLY – How many times have you called prospect. Keep your data clean at all times. It reflects how professional you and your organization is. A well maintained DB is one of the keys to repeat business. We can be reached through Email.